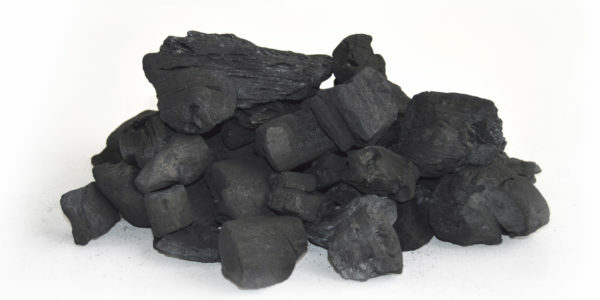 The basic method of producing charcoal is simple and has remained relatively unchanged over the centuries. Invader bushes (which encroach the Namibian landscape causing economic, social and environmental difficulties) are harvested by our farmers. This is loaded into a kiln and carbonised over a 3 day period. Our farmers are skilled in loading the kiln at the highest efficiency. It is not an exact science and can depend upon the timber type, weather and area of grassland. 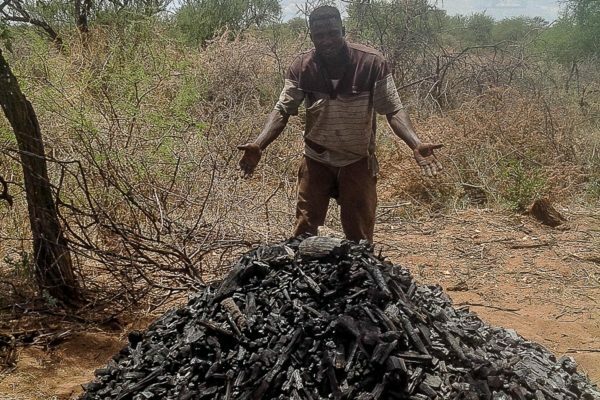 Once the burn is complete and the kiln cooled, the charcoal is collected and sent to our factory where it is graded, bagged accordingly and shipped over to the UK. It is then converted into a finished product. "Once the burn is complete and the kiln cooled, the charcoal is collected and sent to our factory where it is graded, bagged accordingly and shipped over to the UK"
What to choose for lighting the barbecue and does it really matter whether you buy lumpwood or briquettes? 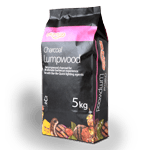 Lumpwood is traditional pieces of carbonised wood, easy to light with a shorter burn time. 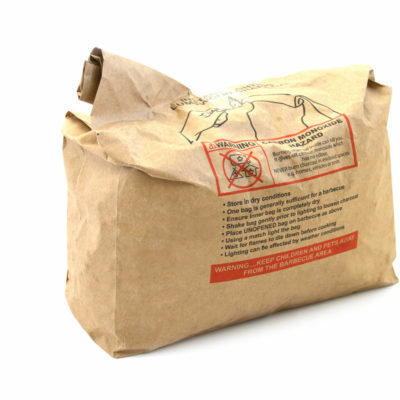 Briquettes are compressed crushed carbonized wood that are mixed with a binder and pressed into pillow shapes. It normally takes a little longer to light a briquette but they tend to burn hotter and longer making them good for larger cuts of meats and for smoking purposes. Therefore it’s always a good idea to choose the fuel wisely according to whats cooking. 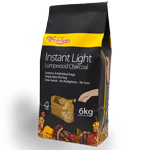 "Does it really matter whether you buy lumpwood or briquettes"
Bar-Be-Quick’s Instant Light Charcoal is clean, quick and easy to use, with none of the mess associated with traditional charcoal. It’s kept in its own paper bag which is simply placed on the barbecue and lit. 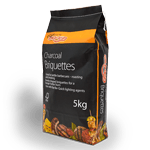 The FSC® Instant Lighting Charcoal is also specially treated with no need for lighter fluid, ensuring the charcoal lights first time, every time – ending a generation of slaving over smouldering coals, blowing on unwilling charcoal; only to light as the rain starts. 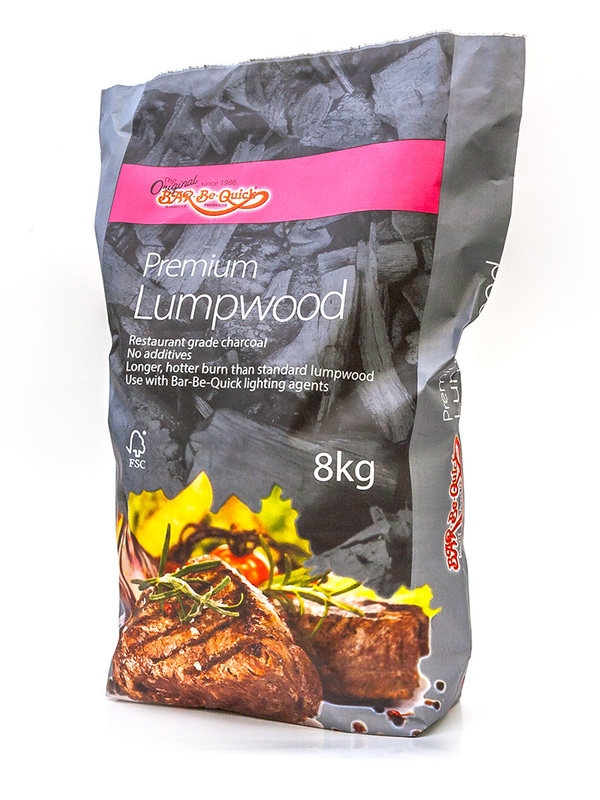 Bar-Be-Quick’s Lumpwood – wood charcoal for everyday barbecues, slightly larger pieces than our ILC product. With a great burn time and are easy to light using our barbecue lighting products from our accessories range. 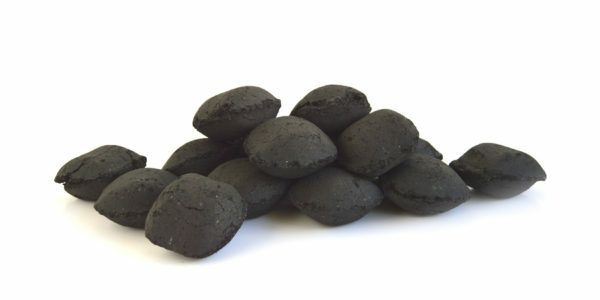 Bar-Be-Quick’s Briquettes are made from carbonized wood, starch and water these are compressed into an even pillow shaped block approx 50mm x 25mm. Its generous surface area helps with the lighting process. Briquettes give a longer hotter burn than our lumpwood for the same weight. Making them ideal for the longer grilling times need for larger cuts of meats or when smoking these. Bar-Be-Quick’s Premium lumpwood uses selected regional products that produce large robust pieces of carbonized charcoal that professional restaurants and grillers prefer to use. They are also particularly easy to light. They have a great burn time and produce extreme heat suited for grilling the larger cuts of meat.